We consider you part of our family and are confident that we will provide you with a smile that will bring you a lifetime of happiness. Drs. Michael Tilghman and Carrie Schwartz welcome you to Tilghman Orthodontics, where we have been creating beautiful smiles since 2001. Our commitment to patient care is unmatched, and our offices radiate friendliness and comfort. With over 30 years of experience between our two doctors, we offer only the most efficient and time-proven methods of treatment for patients in Salisbury, Berlin, Ocean City, and other areas throughout the Eastern Shore. Outside of the office, we encourage our patients and staff to find their passion with our "emBRACE Life" program. Our relationships with our former and current patients are for life, and we do our best to support their philanthropic causes and events in our local community. We also provide TMJ Exams and sleep apnea treatments, which you can find out more about by visiting our TMJ/TMD Treatment & Sleep Apnea/Snoring pages. If you want to learn more about our services, or would like to schedule a free consultation, give us a call at 410-742-4813. Thank you, and we look forward to seeing you in our offices soon! 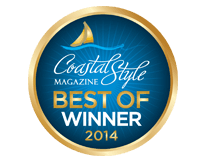 We've been recognized by Coastal Style Magazine as a top orthodontic practice for the past three years with no signs of slowing down. Check out our most recent feature here: Top Docs 2016: Tilghman Orthodontics. Imagine earning points for being a great patient and having a great smile! At Tilghman Orthodontics, you get to join a membership club of lucky users who earn points for doing all kinds of awesome things. And the best part is that you get to use your points to play games, order gift cards and more! We are experts in providing comprehensive orthodontic care for patients of all ages – including children, teens and even adults. At our practice, everyone can enjoy the benefits of a beautiful new smile! To learn about the services and treatment options we offer, watch the videos on our YouTube Channel.